Smith, R. D., Boddie, S. C., & Peters, R. E. (Eds.). (2018). Urban Ministry Reconsidered: Contexts and Approaches. (Edited Volume). Ministry Beyond the Walls: Urban Contexts and Considerations. With R. Drew Smith and Ronald Peterson. Eds. Westminster John Knox (In press). Yonas, M., Zuberi, A. Kasunic, A., Bamwine, P., Boddie, S. C., Lopez, D., Tharp-Gilliam, S. and Wallace, J. Parent and Youth Perceptions of Social and Environmental Influences on Children’s Asthma: Using Community-Based Participatory Research in a Distressed Urban Neighborhood. Progress in Community Health Partnerships: Research, Education, and Action. (In press). Boddie, S. C. & Agnani, S. (2015, August 25). We are Measuring Poverty Wrong. Time Magazine online. Shanks, T., Boddie, S. C. & Wynn, R. (2014). Wealth building in communities of color. In Larry E. Davis & Ralph Bangs (Eds). Handbook on Race & Social Problems. New York, NY: Springer Press. Boddie, S. C., Massengill, R., & Shi, A. F. (2012). Did the religious group socioeconomic ranking change leading into the Great Recession? Sociology of Work. 23, 27-47. doi:101.1108/SO277-2833. Shanks, T. R., Boddie, S. C. & Rice, S. (2010). Family-centered, community-based asset building: A strategic use of Individual Development Accounts. Journal of Community Practice. 18(1), 94-117. doi:10.1080/10705421003766735. Boddie, S. C., Franklin, R. & Trulear, D. (2010). Healing communities: A framework for congregations in their ministry to families affected by incarceration. Baltimore, MD: The Annie E. Casey Foundation. Dr. Stephanie Clintonia Boddie joined the Baylor University faculty in 2017 as an assistant professor of Church and Community Ministries with affiliations at the Diana R. Garland School of Social Work, the George W. Truett Theological Seminary, and the School of Education. Boddie is also a non-resident senior fellow at the University of Pennsylvania’s Program for Research on Religion & Urban Civil Society and an alumni fellow at the Robert A. Fox Leadership Program. She is a faculty associate at Pitt-Assisted Communities and Schools at University of Pittsburgh and the Center for Social Development at Washington University in St. Louis as well as a co-convener of the Transatlantic Roundtable on Religion and Race. Previously, Boddie served as senior consultant for the Pittsburgh Theological Seminary’s Metro-Urban Institute and taught in the seminary’s Doctorate of Ministry Urban Change program. She held research appointments at Carnegie Mellon University and University of Pittsburgh. She also served as a senior researcher at the Pew Research Center’s Forum on Religion and Public Life, lead consultant for the Anne E. Casey Foundation’s Faith & Family Portfolio and on the faculty of Washington University in St. Louis. 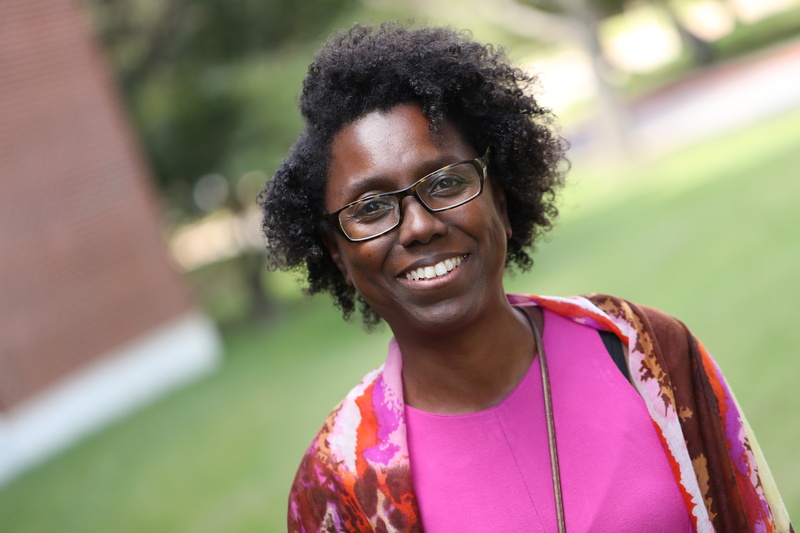 Boddie’s research explores congregation-based social services and trends in faith-based initiatives as well as social entrepreneurial approaches to address disparities in wealth, health, and food insecurity. She is co-director of the research, teaching and public history project, The Ward: Race and Class in Du Bois’ Seventh Ward. During her time at Carnegie Mellon University, she launched her research project, Unfinished Business: Religion & the Entrepreneurial Spirit. In addition to numerous journal articles and reports, Boddie has co-authored the following books: The Newer Deal: Social Work and Religion in Partnership; The Invisible Caring Hand: American Congregations and the Provision of Welfare; The Other Philadelphia Story: How Local Congregations Support Quality of Life in Urban America; and Faith-Based Social Services: Measures, Assessments, and Effectiveness. She has also co-produced four short films. Boddie received her doctorate in social welfare and master's in social work from the University of Pennsylvania and her bachelor's degree in natural science from Johns Hopkins University.